Dallington Alumni & Friends is a dedicated online community for all Old Dallingtonians and their family members, former and current staff members and friends of our school. It is run by the School specifically for its alumni. It is your community. 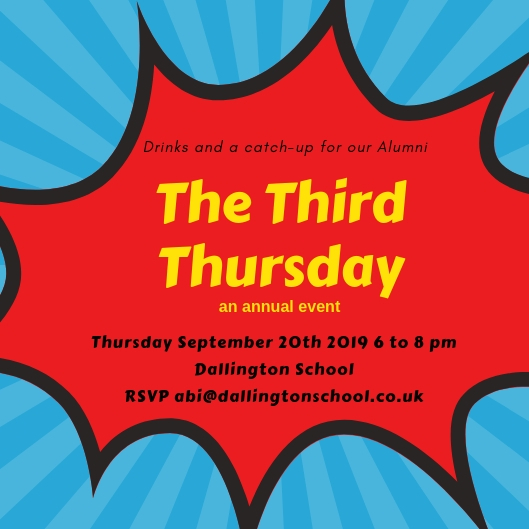 A place to connect with other alumni, share memories and news, read the latest Dallington news, search the archives, register for events, download the School newsletters, buy memorabilia, give something back to your old school and more. It will become as vibrant a community as we dare to make it! We hope you like it.